Submitted by mahoney on Wed, 04/15/2015 - 3:00pm. 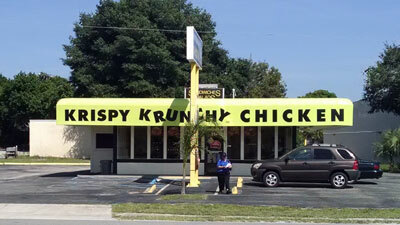 Krispy Krunchy Chicken features cajun style chicken (bone in and tenders) since 1989. There menu also includes traditional wings, Krispy wings,Cajun sweet and sour wings, cajun tenders, red beans and rice and other tasty items. About 90% of their locations are housed in convenience stores, capitalizing on impulse buying concept. Updated the file. Net increase of 92 locations. Updated the file. Net increase of 130 locations. Updated the file. Net increase of 78 locations.